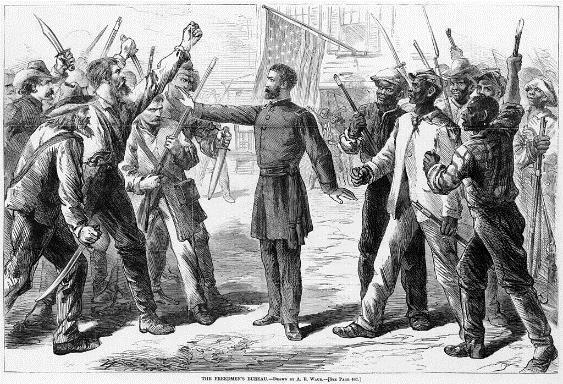 Figure 1: The Freedmen’s Bureau by Alfred R. Waud in Harper’s Weekly 25 July 1868 [Public domain], via Wikimedia Commons. A very exciting and important project, one creating a searchable database for 1.5 million Freedmen’s Bureau records, is near completion. The database will allow family researchers to locate records of their ancestors at the click of a button and will surely revolutionize the way African-Americans conduct family research. The best part is, you can help! The Freedmen’s Bureau, officially known as the Bureau of Refugees, Freedmen, and Abandoned Lands, was created near the end of the Civil War to help those needing assistance following the war, namely newly-emancipated slaves and white refugees, as well as to manage and resettle lands abandoned by former owners. In the years following the war, the Freedmen’s Bureau set up schools, hospitals, and banks, rationed food, created formal work contracts for former slaves, documented military service, and formalized marriages that were unrecognized by law during slavery. The papers created from these enterprises include a wealth of family information that is valuable to the genealogist. They often include familial relationships, occupations or special skills, names of former slave owners, and places of birth. 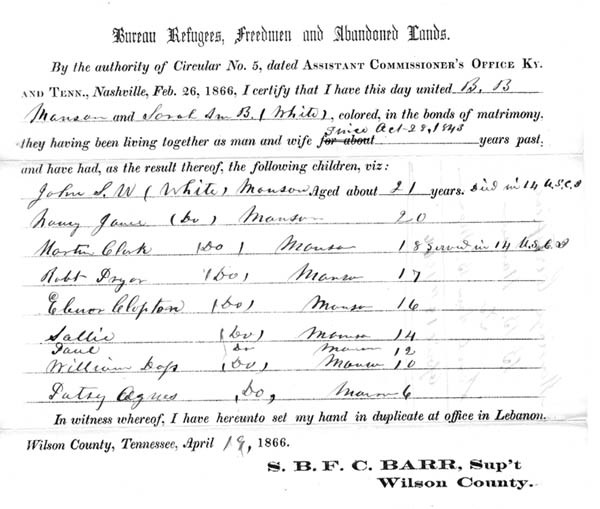 Figure 2: Marriage certificate issued by the Bureau of Refugees, Freedmen, and Abandoned Lands, Wilson County, Tennessee, 1866 [Public domain], via Wikimedia Commons. FamilySearch International, the Smithsonian National Museum of African American History and Culture (NMAAHC), and the Afro-American Historical and Genealogical Society (AAHGS) teamed up in an effort to digitize and index records that had been difficult to search before. 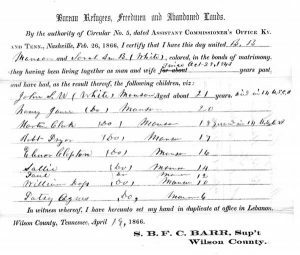 These records could help genealogists break down the 1870 wall many African Americans hit while conducting family research and help them learn more about their ancestors immediately following the Civil War and even prior to emancipation. The indexing for the project is being done by volunteers from all over the county. They could use your help in reaching the goal of completion, set to coincide with the opening of the Smithsonian National Museum of African American History and Culture in September 2016. As of today, the project has indexed 85% of the records, so the goal is within sight. You can volunteer from your own home whenever it is convenient for you. Visit the project website, www.discoverfreedmen.org, for more information on how to participate. While volunteering simply requires you to enter any names you see onto an already-digitized page, I cannot promise that it will not make you want to learn more about the individuals in the records. The pages are filled with fascinating individuals and stories, so it is hard not to get distracted by wanting to learn more. It is rewarding to help give names and voices to so many who have been lost to history and to know that your efforts are helping others learn about their roots. I encourage you to get involved and take advantage of the opportunity to contribute to an historic and important project!